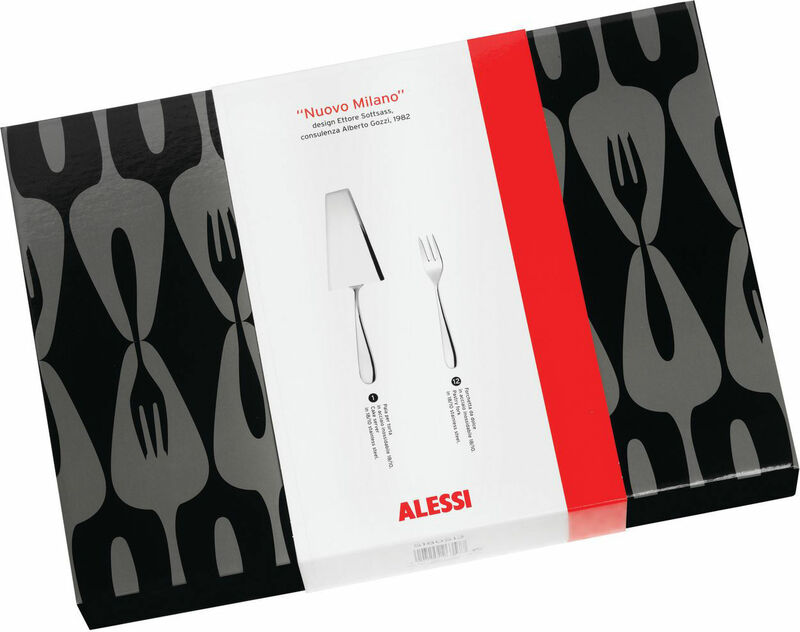 Created by the famous designer Ettore Sottsass, the cutlery collection ''Nuovo Milano'' is a classic of design (Compasso d'Oro 1989). 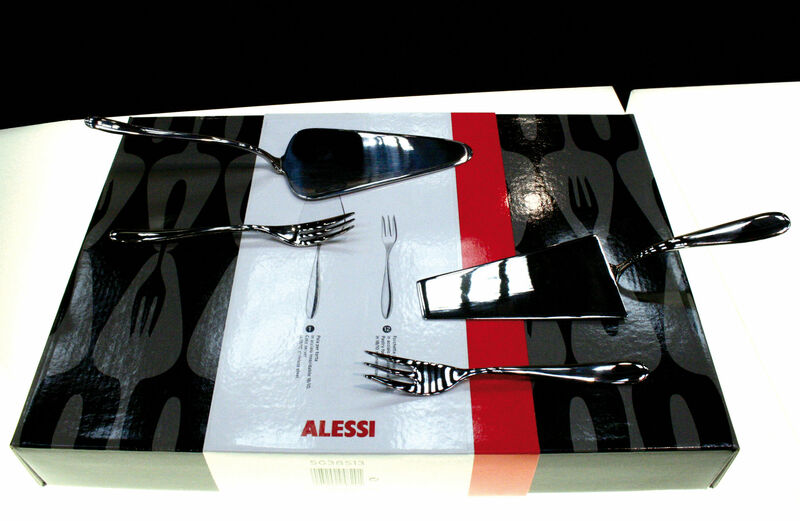 The set contains one cake server and 12 pastry forks. Delivered with a nice gift packaging... A perfect gift!